By the time August arrived, we were finally feeling pretty comfortable in our roles. We felt like we understood our calling, were well acquainted with the processes we employed daily and we were getting very excited about the remaining year of our mission. We started making plans to visit the outlying missions to evaluate their medical facilities and resources and possibly do some training in conferences. Our first opportunity came on August 11th when we were invited to participate in the New Mission President's Seminar. This was a little intimidating but we were so excited to meet the four new presidents and their wives and get further acquainted with the Area Presidency. We put together a little presentation and also took a number of handouts for them to use as resources. The mission presidents' wives are frequently the medical coordinators for their mission and they had lots of questions about how to fulfill this responsibility. At the end of the seminar we were given about an hour to do some hand-ons training in our office, showing them how to use the computer programs available to them and answering their questions. One week later we started training the medical coordinators of the four local missions and looked forward to furthering that effort. We planned another training for three weeks later. Elder Scott, one of the Twelve Apostles for our church, was coming for a visit and we were going to be able to visit with him in a special meeting to be held for the Senior Missionaries on August 23rd, my birthday. The piano program was doing well and I was thoroughly enjoying my students. I had 17 students in all and I had focused mostly on students who had started the program earlier with another missionary but had not finished the program or started accompanying for church meetings, as is the goal. Some of these students had become very dear friends of mine. I had the piano students from Pocuro ward preparing songs to play for the Primary program in November and we had made the acquaintance of a choice young lady, Alexis Low, visiting Chile as a Study Abroad Student from George Washington University in Washington DC. She was willing to give me some help with my piano students when I had two students at a time so they could progress faster. We sort of 'adopted' her as we had cute Camila from Osorno, the convert of the Lovells in Osorno. Here are some of my piano students. I did not get photos of all of them. I had felt strong promptings to start organizing the resources, forms and information needed in the clinic in a manner that would be easily accessed by computer and felt that I was making good progress. I had no idea why I was driven to get this done. Alexis, Dave and I were invited to the home of two of my piano students for a FHE. Another family had been invited. They had a year old child who was dying of cancer. We had a most wonderful time and felt such a sweet spirit in the home. Afterwards, I kept thinking of this precious little spirit who would soon return to her Heavenly Father. It got me thinking more about death. This is a photo of our friend Alexis, the beautiful baby and her mother. We had formed a close friendship with the young 'temple missioneras' who lived in the apartment next to ours and told them we would love to have discussions in our home. They had a young man who could not have discussions at his residence and they began to have some of the lessons at our apartment when it worked out. Thus began our friendship with Henry. His baptism and confirmation were one of the high points of our mission. This is Sis. Blackham, Sis. Hugo and our new Peruvian friend, Henry. The flower on the table was picked and brought to us by Henry and Camila the night before as a show of appreciation. We were beginning to feel so at home with all of our new friends as well as deepening friendships with all the senior couples with whom we worked, dined and associated at Family Home Evenings. We even had received our resident visas and had finally been able to put our car in our own name. Life seemed pretty perfect. Dave had had some mild discomfort under his right arm for a week or so; but on Friday, August 20th, it was quite noticeable, so he palpated his underarm. He was alarmed to feel a lump about the size of a walnut and also the presence of a fair amount of swelling. We contact our physician friend, Dra. Munoz, that day and were able to get some tests started. The following day, Dave called our Mission President, President Laycock and asked for a blessing. He and his wife met us at his office, and he gave Dave an amazing priesthood blessing. He told us that it had been a tremendous spiritual experience for him, and all of us were in tears when it ended. We were promised the love and comfort of the Lord but no blessing of healing was pronounced. We now felt like we could move forward, knowing that we were in the hands of the Lord and whatever happened was part of His plan. We had planned to celebrate my birthday on Sunday, August 22 because of Elder Scott coming on Monday. Dave fixed a great dinner and we visited with all of our children and grandchildren on a Skype video conference. We did not tell them at the time what was going on as we didn't have any information and did not want to alarm them unnecessarily. Our precious young temple missionaries, Sis. Blackham and Hugo, showed up at the door with a big bouquet of flowers. I thought they had found out that it was my birthday but that was not the case. They said that we had been on their mind and they had been prompted to visit and bring us a gift. They had no idea that Dave was having problems except that the Spirit had whispered to them. The beautiful flowers, which lasted until the day we left, buoyed our spirits each time we looked that them. This is just one example of how our Heavenly Father blessed our lives through our friends and family's love and sensitivity at this difficult time. I had been asked to play the music at the morning devotional for the Area Office employees in which Elder Scott was speaking Monday morning. I went over very early and practiced and nervously played. I played prelude mostly from the hymn book and mostly songs that lifted my spirits, which I so needed at this time. Both Elder Scott and Elder Costa spoke in Spanish, but since it is a second language for both of them, they spoke slowly and distinctly and we were able to understand almost everything. We drank in every word. Dave got the remaining tests done after the devotional, and with results in hand we went to our first of many doctor appointments. The ultrasound did show multiple large lymph node masses in the axilla and also some in his upper chest. Dra. Munoz realized that this was probably a cancer and referred us on to a surgical oncologist. We wanted desperately to get an appointment as soon as possible. None of those she suggested had appointments until at least Thursday. A friend at the Area Office got on the phone and found a physician with an opening that evening. Our hearts sunk because that was the evening that Elder Scott would be speaking to us, but we felt we needed to move ahead with Dave's problems. The evening was spent in Dr. Constante's office. He ordered a CT scan for Wed, and then had us return on Thursday with the results. Dave had had a squamous cell carcinoma of the skin a year before and we hoped that this was a metastasis from that. Whatever it ended up being, we now knew that it was time to call the kids and let them know something was up before they found out 'through the grapevine' What hard calls those were! Thursday afternoon, for almuerzo, Henry came to our home and fixed us a wonderful Chinese lunch. He had been working at a Chinese restaurant and wanted to do this for us. Sisters Blackham and Hugo came also and helped Henry. It was a high point in a low week. After seeing the result of the CT scan, and with approval of Dr. Doty in Salt Lake, Dave was admitted to the hospital on Friday and underwent a radical lymph node dissection on Saturday, August 28th. Our dear friend Sandy Macdonald, an RN, stepped in to cover the office while Dave was off. Another sweet friend, Kay Heaton, sensed I should have someone with me during the surgery and she stayed with me the entire time and also while the doctor explained to me what he had found. He didn't have the pathology report but from what he found during surgery, he sensed that it 'was not good news.' Reality was settling in and it was hard. Dave recuperated well and accepted the news with a sense of peace, but realized that he well may die from this awful tumor. We had lots of visitors--senior couples, Mission Presidents and their wives, our Sunday School teacher, our Bishop and his wife-- which helped us feel loved and supported. I stayed with Dave at the hospital until he was discharged on Monday morning. Now we needed to wait for the pathology report to tell us what we were up against. I returned to work at the clinic on Tuesday and by Thursday Dave was seeing a few selected missionaries while Sandy and I were seeing routine problems. I was also trying to give her a crash course in clinic processes since we knew we well might be headed home. I was so grateful that I had been inspired to start getting information organized on the computer. I thought it was for our successor in another year but it would probably be needed now. I found that it was hard to focus and remember details. I felt like I was in a fog. There would be so many details to take care of if we were going home, but until we had pathology we couldn't do much. There was the possibility of going home for treatment and then returning, but maybe we wouldn't be so lucky. It broke our hearts to think of not finishing our mission. We sat with our friends Henry and Alexis on Fast Sunday, Sept. 5th. Both Dave and I bore our testimonies and announced that we may be leaving due to health problems with Dave. So many people wanted to visit with us and show their love and we were so touched. Camila had been having lunch with us after church each Fast Sunday, and this time we had Alexis also. Camila's birthday was on Thursday and I told her we would try to have a party for her at our place, but Dave reminded me that we could be on our way home by them. I didn't want to think of that but it was true. Instead, Henry and Sis. Blackham and Hugo helped me plan a surprise party for her at the church after Institute on Thursday and they made all the arrangments. We thought that we would have the pathology on Monday morning but it wasn't ready and that was difficult for us. We had an appt. with Dr. Constante in the evening so we went early so Dave could visit with the pathologist. The pathologist reviewed what he knew and didn't know and said he would have the report printed up in half an hour, which he did. Our good friend, Duane Macdonald had been going with us to appointments to help translate and he picked up the path report and got it back to Dr. Constante during our visit. They now knew it was not squamous cell, lymphoma or melanoma and that it was some type of large cell tumor. The decision was made to send the pathology slides with us and have us return to the US as quickly as possible. We both felt numb as we left the appointment. More reality set in. We were going home and we would not return. It was truly hard to believe. We didn't want to believe it. Tuesday morning Dave was on the phone to Dr. Doty, and the Executive Secretary, Elder Heaton, was arranging tickets for our return home for Friday, the 10th. That was as soon as we could be ready to leave. Dr. Doty arranged for Dave to see an oncologist at Utah Valley Hospital in Provo on Monday, Sept. 13. Also on Tuesday we were invited into the office of the area presidency. There each of us received Priesthood blessings under the hands of Elder Carlos Amado, Elder Lawrence Corbridge, and Elder Jorge Zeballos. They graciously thanked us for the service we had given. Wednesday was the second training session for the Medical Coordinators and Mission President's Wives who are Medical Coordinators. The timing was pretty difficult but we felt it was very important, especially now that we were leaving. 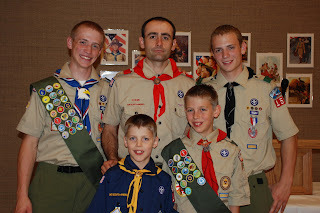 We had 18 in attendance, representing five missions. I had spent the morning madly preparing and was not fully ready when time came to present but I felt it went well and was helpful. Our first goal was to help the medical coordinators hone their assessing skills and their ability to instruct missionaries on how to recognize and treat simple illnesses such as colds, diarrhea, vomiting, aches and pains from home, but to also recognize when a doctor's skills were needed Our second goal was to help the individual missionaries to take ownership for their own health. There is a wealth of training materials available to use in conferences and meetings to help accomplish this task. We wanted the Medical Coordinators to be more familiar with resources that are out there and to take an active role in education. time with him and invited him to help with some procedures such as assisting with suturing a laceration. They became close friends. Also on Wednesday, Dave sold the car, easily, for the full amount that we had wanted. That was a blessing. President and Sister Lyon offered to send our extra stuff with theirs, when they go home at the end of October. What a help that was! We had not started to pack but now we knew that we could set aside some of the things that we wouldn't need for awhile and not have to worry about packing them and paying extra fees. Dave was trying to work as much as possible but he was tiring easily and needed a nap every afternoon. We were helped and encouraged by so many people this last week, that it’s hard to remember everyone. Many came to the office to visit and wish us well. People brought by cards, food and thoughtful gifts. We felt very loved. The East Mission Elders were always at our beck and call for translation, computer support and anything else we needed. We felt it a great blessing to be in the office next to such able and willing young men. Sandy Macdonald, an RN, is holding down the entire fort in our absence and took a crash course to prepare herself when we knew our time was short. Hers is the hardest task of all--tremendous responsibility and pressure to run the clinic by herself, with support out of Salt Lake. Her husband Duane has been a huge help with translation, both in the clinic and at our doctor appointments. We could not have survived without these two who are still helping with our bills and apartment. The Heatons, the Executive Secretary couple, were right on top of things. They checked everyday and as soon as we knew we were going, they had tickets arranged for us, made sure we had a good meal before the flight and then spent the rest of the day taking us to the airport,staying until they were sure we were on the flight before leaving us. Friday morning it was rumored that our flight had been cancelled but it was actually a flight the evening before. About 11 young elders were stranded for a night and some ended up on our flight the next evening. David Goodwin was Dave's counterpart in mental health. We had to dump much work back onto his shoulders while both he and his sweet wife Jenenne were quite ill themselves. Sis. Debbie Roberts and Sis. Janina Cobar came to be very special friends. They were serving an oral church history mission. We shared the cat, Mishel, with them and they had their office adjacent to our in the Area Office. It's impossible to find gals more sensitive and caring. They were always bringing us food, photos of the cat, photo essays of the earthquake which they had documented or translating for us, and just watching out for us. Sis. Cobar was from Guatemala originally and so we had that in common also. Thursday when things were falling apart, they sensed my needs and went and bought me some food. I had not eaten for many hours and they had that ability to know what I needed and act on it. Thursday was crazy. We spent long hours in the clinic trying to finish up. Dave was spending hours on the phone to Mission presidents and their wives regarding some challenging cases and trying to make sure that all the bases were covered for sick missionaries. The East Mission was having a special dinner and program in the evening and we were invited. They have planned a special presentation for us but when the time came, we were both heavily involved and could not leave. That evening I did run over to the church to spend a few minutes at the surprise birthday party for Camila which was very fun. I had a special treat because half of our ward was there practicing for a ward play and I was able to get photos and say goodbye to many of our dearest friends in the ward. It wasn't until Thursday night that I had any time to start packing. Here's a shot from the surprise party. I was so happy that we were still there for it. Camila came over for a final hug after the party so she could visit with Dave who wasn't feeling up to partying and crowds. It was so fun to get in on some of the rehearsal for the ward play. I had not anticipated that, and I had so wanted to have a final goodbye with the members we had come to love. We had both become quite involved with many ward members through the piano program and the choir. Dave sang in the choir and I accompanied. I also accompanied for the primary after the Boydens left. On our last day there, the AP’s from the East Mission helped us pack up our baggage, carefully weighing each bag to be sure it wasn’t over, taking the kitty condo and supplies to the sisters, and also hauling all our things that were to be shipped when the Lyons moved backed to Utah. Sisters Hugo and Blackham cleaned and ran errands for us all morning including getting my music materials distributed. We had to return our cell phones to the Church and also leave keys for our apartment and what seemed like a million other little details. The Macdonalds agreed to water plants, pay bills and look after the apartment until a resolution of the conflicts we had with the owners was achieved. Bro. Reyes of the Area Office had been assigned to meet with the apartment owners and try to resolve things. The tiles on the kitchen floor and the peeling wallpaper had never been fixed after three months and we had never received a copy of the contract. This is a shot of the four sister missionaries who lived in the apartment next to us and offered so much support in many ways. Sis. Hugo, 3rd from the left, had been a medical coordinator for the East Mission and when we left the medical coordinator was Sis. Alacama, third from the right. Elder Livingstone and Elder Carrol were the Assistants to the President who jumped in to help us all morning on moving day. Once we were packed up and ready and had spent some time at the clinic, Elder and Sister Heaton, the new executive secretary couple, had us to a delicious lunch at their apartment and later took us to the airport. Most of the senior couples came out to say ‘goodbye’ and wish us well as we were about to leave. It was a very hard thing. We really didn’t want to be going home without finishing our mission, but the Lord had different plans for us. On the way to the airport, Sis. Heaton got briefed on the remaining piano students that I had not been able to farm out. She had agreed to take them and what a relief that was to me! Everything had happened so fast that it seemed to me like a dream. We loved our mission to Chile and felt it a huge loss to have to leave it early. We loved the people and the country. 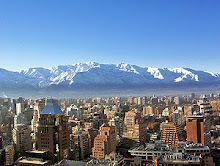 It is said that Chile is the most modern and prosperous country in South America. We didn’t see signs of the current world-wide recession there. Unlike many Latin American countries, Chile doesn’t suffer from corruption in the government. There is respect for the law, and the laws are enforced. Police don’t take bribes. In short, a person is safer in Chile than in many U.S. cities. The infrastructure is incredibly progressive. The government is well organized, and when there is a problem, such as the Earthquake or a mine disaster, Chileans go to work and fix it. It was a great privilege to be able to serve in this missionary calling and be in contact with the wonderful missionaries every day, even though it was short-lived. Our flight home was over-night to Dallas and then on to SLC. Our son John had the idea to catch a ride to Fillmore and get Dave’s truck a couple of days before our arrival. He then drove the truck to the airport to pick us up about noon. He then went on to the University of Utah game with his brother. We drove out to their home in Grantsville where his wife Traci fed us and then let us take a nap in a room prepared for us by moving in a larger bed and blackening the window with a quilt. When they all returned, we had a great barbeque dinner. Sunday we went to church with John and Traci and later the rest of the family, including both of our mothers, joined us for a nice dinner. It was a bittersweet reunion under the circumstances. Here are some shots of our family. Daughter-in-law Traci, daughter Jill holding John and Traci's baby and son John. Owen was born just two days after we arrived in Chile so we needed to get acquainted! We stayed another night because Dave's first appointment with the oncologist, Dr. Rich, was Monday morning at 8 am in Provo. We gave him the pathology slides which we had brought and he had Dave schedule a PET scan which is very specific for showing any tumor activity throughout the body. From this appointment we drove home and found all well in Fillmore. We had been hoping that our beautiful black cat, Bilbo would still be around. No one had seen him for a long time. The first thing we did was start calling him and soon he was answering but it took him until the next morning to be brave enough to come in the house. He has been a great comfort for Dave. We drove the 110 miles to Provo on Wed. for the scan and again on Friday to get the results of the pathology and scan. Pathology showed this is a large cell, neuroendocrine tumor of unknown origin. With today's treatment options, there is no cure. With chemo, 50% live longer than 10 months and 50% die in less than 10 months. This was heavy news but not unexpected. Dave has metastases in both upper arms, chest and pelvis but no visible signs in the liver or lungs so that is good news. Calling and telling our children and mothers this news was one of the hardest things we have ever done. Our youngest daughter was particularly hard hit with the news. She had not anticipated that it would be that bad. She had just moved to Hawaii and was 8 1/2 months pregnant. While at the hospital, Dave went to Xray and had almost a quart of fluid drawn off from under his arm that had been accumulating and bothering him a lot. Then things got better. We drove to Los Hermanos in Provo and met our grandson Stephen, who had just returned from the Japan Nagoya Mission the day before, and his younger brother Jordan. Stephen had left a year after we went to Guatemala so we had not seen him in a long time. Since then our life has been a mix of family activities, trips to Provo for medical care, in addition to sickness and death in our neighborhood. Jills' family came to visit on our first Sunday home. They fixed us a marvelous steak dinner and stayed the entire day with us. The first day of chemo was also the funeral for a dear neighbor who had died one week after we got home from the same type of cancer as Dave's. That is very strange as this is not a common cancer. Attending the funeral was harder than we thought. Reality smacked us both right in the face. Two other neighbors were up at Utah Valley Hospital the same day, one of which died shortly after. Dave attended two more funerals while I was in Hawaii. Chemo therapy started on Sept. 22nd. He receives treatments three days in a row and then waits three-four weeks and repeats this for 4-6 series, depending on his response to the chemo. We drove up and back the first two days. When he finished his third day of chemo, we stayed up north on Friday at Dave's brother home to attend the marriage of Dave's nephew Adam in Bountiful and enjoy other family activities.. This is his brother-in-law Robert, sister Marsha, Dave's mother, and sister Lisa. Saturday we took Dave's 89 year old Mom and niece to the musical 'Pirates of Penzance.' The laughter was very good for us. Then Dave went to the U of U football game with all three of his sons while I watched the Women's Conference with my mother, sister Wini, and daughter-in-law Nancy. Sunday our grandson Stephen reported his mission. We had a great visit as we lunched afterwards. There was great comfort in being surrounded with family. Dave with daughter-in-law Traci and Baby Owen. The first weekend in October we decided to go to our condo in the Beaver mountains to get away from life a little. We had been to Provo twice that week for medical care. The scenery was stunning and we were able to enjoy General Conference. Friday, Dave's sister Eileen and her husband came up and had lunch and a great visit with us. Sunday our son Challis and his family came and enjoyed the afternoon conference and had a steak dinner with us. It was so fun to just focus on family, the beauties of this glorious earth and things of the spirit. We felt rejuvenated when we got home on Monday afternoon. The aspens were turning color and some were bright orange. It was stunningly beautiful! Our daughter Micaela was due to deliver on Oct. 10. Dave was feeling quite well so I hopped a plane to Hawaii on Oct. 7th to try to be there for the blessed event. Micaela ended up with a C-Section due to a breech presentation on Tues. the 12th. I was very happy to be able to be there and enjoy the new baby, Micaela and her family. I sewed drapes and a crib skirt for the nursery and Halloween costumes for the girls, cooked up some extra meals and just enjoyed being with them. Once the baby came, there was little time but I did spend one night at the hospital which gave Mic and I some special time together. Andrew Challis Hess was 8 pounds 10 ounces and 19 inches long, meaning he was short and fat. Challis is my maiden name so that was a pleasant surprise for the family. We also have a son named Challis. While I was gone to Hawaii, Dave spent hours every day at the computer writing his life story. This has been very therapeutic for him as he recounts all that he has experienced--the good and the bad--and what he has learned in the process. It will be a treasure for the rest of us to have. On my way to Hawaii, I spent one day in Salt Lake at the wedding festivities of my nephew. I took my mom to the wedding breakfast and while there she had what we think was a little mini stroke. When I got home from Hawaii, I stayed with my mother who is having more and more health problems. I was happy to have the opportunity to be with her. She is now staying with my sister Janet in Mendon. The next day Dave drove up and we attended the birthday party for little Ana, turning 3. She was born while we were in Guatemala. It is difficult to explain one's feelings when presented with a diagnosis like we have. We know that death is approaching but not imminent. Of course there is some fear of future challenges, gratitude for more time to spend together with family and friends, and an immediate change in priorities. Life takes on a new meaning. Dave and I have drawn closer together as we face this challenge. The numerous emails, phone calls, letters and visits have brought us great comfort and a heightened appreciation for relationships--the people in our lives--that have made it so rich and fulfilling. We have great love for a Heavenly Father who knows us personally and is sustaining us on this journey. Our faith has been strengthened and we feel the love of the Lord more than at any time in our lives. The great Plan of Salvation takes on greater meaning as we think of Dave's approaching the next step in the path back to live with our Father. This is not the end, it is just a new beginning. Okay, so we really miss you very, very much in the Chile Osorno Mission. But I don´t think I knew that Elder Limburg was a Utah fan. I think he might look better in BYU blue. Either way, we still love you and think of you often. Thanks again for all you love and help. The mission continues to pray for you both. Un abrazo.